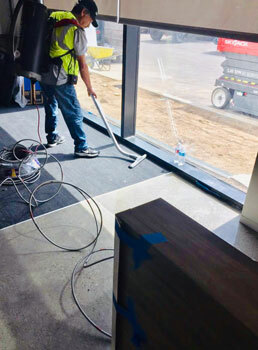 Construction Cleanup | DMS Building Maintenance, Inc.
We love doing work for our clients and contractors. Whether it be a regular task, difficult task, quick turn-around task, public works project, or any other type of project, DMS has the amount of crew members and expertise to get the job done in any time frame given. We can also assist with concrete work! We are ready to provide cleanup services after your construction projects!